Ryan Walker began sharing his passion for the outdoors and experiences in nature in 2003 as co-host of the radio program, Walker’s Outdoor Obsession. That initial foray into outdoor communication opened the door to an outdoor writing career that has spanned the past 12 years. Walker’s writing includes topics related to hunting, fishing, trapping, habitat maintenance and improvement, camping, canoeing, and introducing youth to the great outdoors. In addition to these topics, his main focus is wild game cooking. Backwoods Buffet and The Tall Tale Café have been featured in publications such as Midwest Hunting and Fishing magazine and The Outdoor Obsession in the Tuscola County Advertiser. His work can also be found in his monthly outdoor column in The Lakeshore Guardian, as well as freelance articles for Woods-N-Water News and the Tuscola County Advertiser. Additional past writing experience includes weekly news and features for the Cass City Chronicle. Walker has been the featured keynote speaker for various outdoor groups and events. 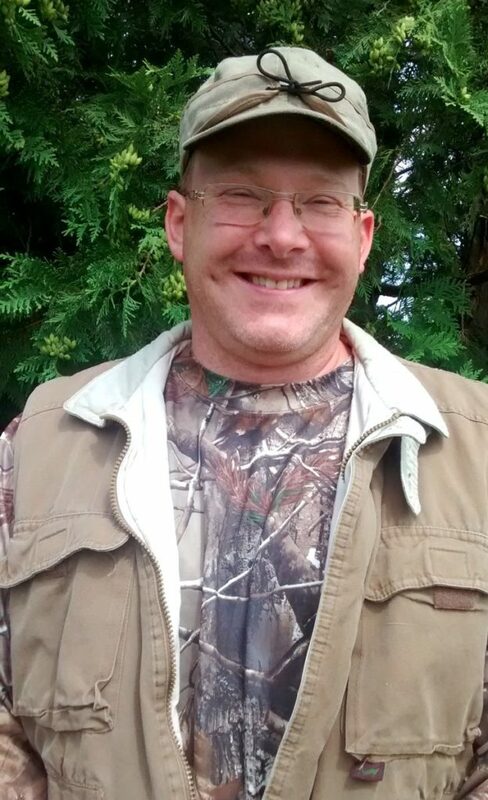 He has been an active member of the Michigan Outdoor Writers Association (MOWA) since 2006, and currently serves on the MOWA board and is the Nominations co-chairman. When not spending time chasing outdoor pursuits with his wife, Rebecca, and their three children: Hugh, Claire, and Oliver, he can be found creating new wild game recipes and experimenting with different styles of cooking. Walker’s 16 years as a high school English teacher allows him to share his love of writing and outdoor interests with his students.